Barcelona is one of those cities I could visit again and again. Not only is Barcelona rich in history, home to some amazing beaches and friendly people, but it’s also famous for it’s world class food. 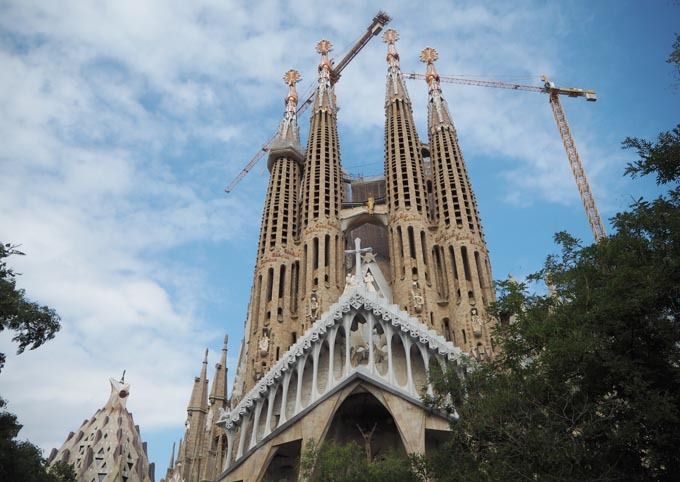 Last month I was lucky enough to visit the city for the second time and was spoilt for choice when it came to places to eat in Barcelona. Tapas is the native dish of Spain but with a mix of cultures in this vast city, it’s not hard to eat a variety of dishes. Even on a short break. With a little research and a few recommendations from friends myself and Tom managed to find some real gems on our short stay in the city. From tapas to pizza, I couldn’t resist sharing five places to eat in Barcelona. On our first night in Barcelona we were craving a taste of the traditional Spanish dish. Known for the narrow streets filled with bars and restaurants, we headed to the El Born/La Ribera area to grab some tapas. Bormuth restaurant was another recommendation and turned out to be one of my favourite places to eat in Barcelona. Serving traditional Spanish food in a cosy quaint environment. We had a mix of croquettes, patatas bravas and meat dishes all for around €40. FOC is a small beach front diner serving tasty and affordable mexican food. We were recommended FOC by a friend, and man where they right. After a long morning exploring the city we were on the hunt for some fulfilling grub so headed to FOC for lunch. There was a relaxed and welcoming vibe, just how we like it. We chose a cosy corner bench facing out to the beach front and tucked into a mix of nachos, tacos and chicken wings. Dishes were affordable, with lunch for two coming to around €35 including a few beers. On our second evening in Barcelona, we wanted something quick and easy so headed to a local Italian not far some our hotel. The newly opened Don Kilo served traditional Italian dishes such as pizza, pasta and meat. I was impressed with the modern decor and friendly staff, who were happy to chat the menu and our stay. 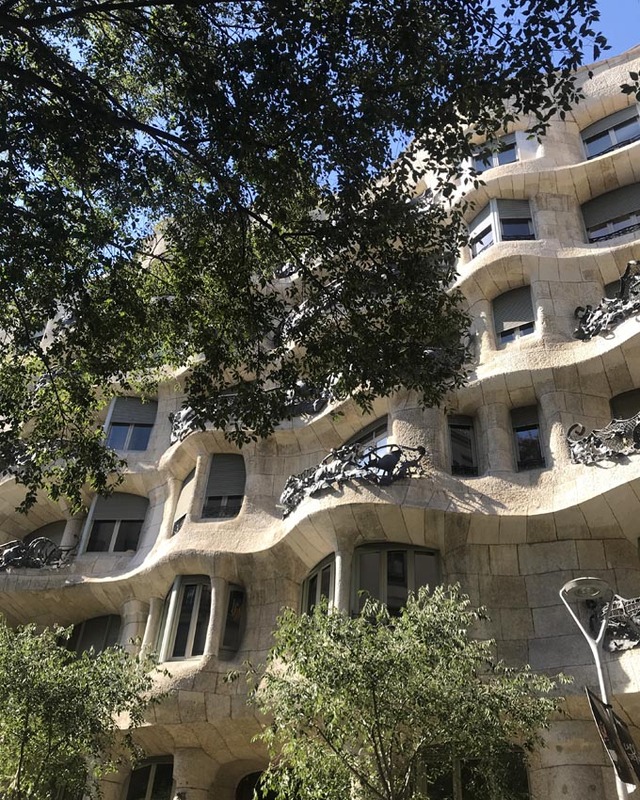 In the Eixample area of Barcelona, Don Kilo is close to Sagrada Familia and Casa Mila. Making it the perfect spot for dinner after a long day sight seeing. We headed to El Rincon Criollo on our last night after a quick search for nearby steak houses. If you’re looking for traditional Argentinian flavors and steak cooked on a slab this is the place for you. The food was simple and delicious with a laid back attitude. The wine wasn’t bad either. The best bit about Barcelona is that you can find delicious authentic food around each corner. We loved wandering around checking out the variety of restaurants available. We often use the TripAdvisor app to help find nearby restaurants which is beyond helpful. How do you find restaurants when exploring a new city? I’d love to hear your recommendations for places to eat in Barcelona, leave a comment below or find me on social. 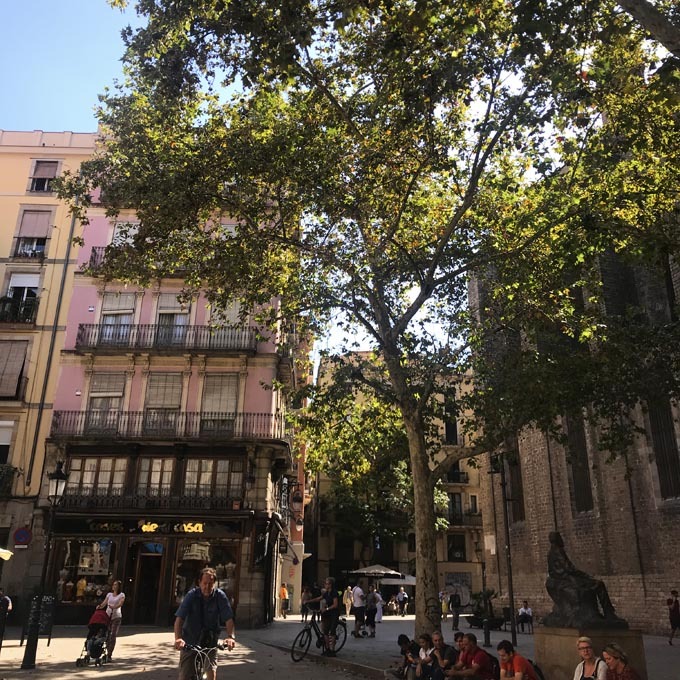 The good thing about Barcelona is that there are so many more good and awesome places to bite your way around!